ComeoCare provides the nursing staff with a list of the preparations to be administered to each patient. The nursing staff has a an overview of the patients who will be needing care during the day, the coming week or the coming month. Each view allows to drill down up to the patient level and see what products have to be administered at what time. 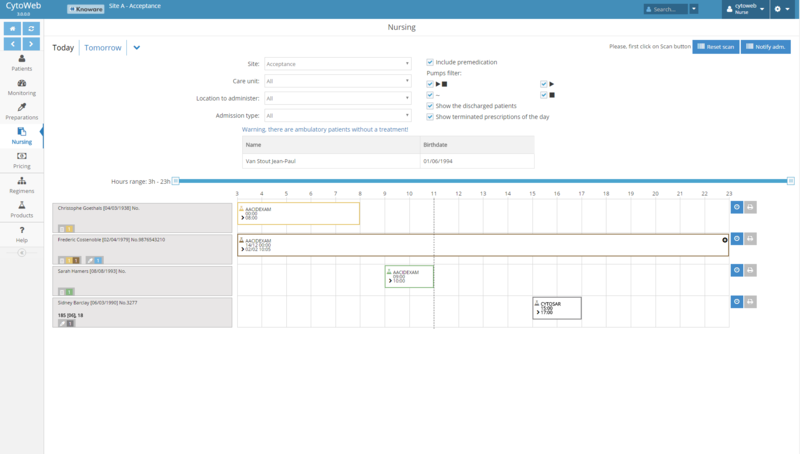 A calendar view allows dragging and dropping appointments to different days and hours. When a product has been administered, the nursing staff changes the status of the corresponding prescription, which allows the doctor to be informed that the process has been correctly carried out and allows a precise history of the administered products. 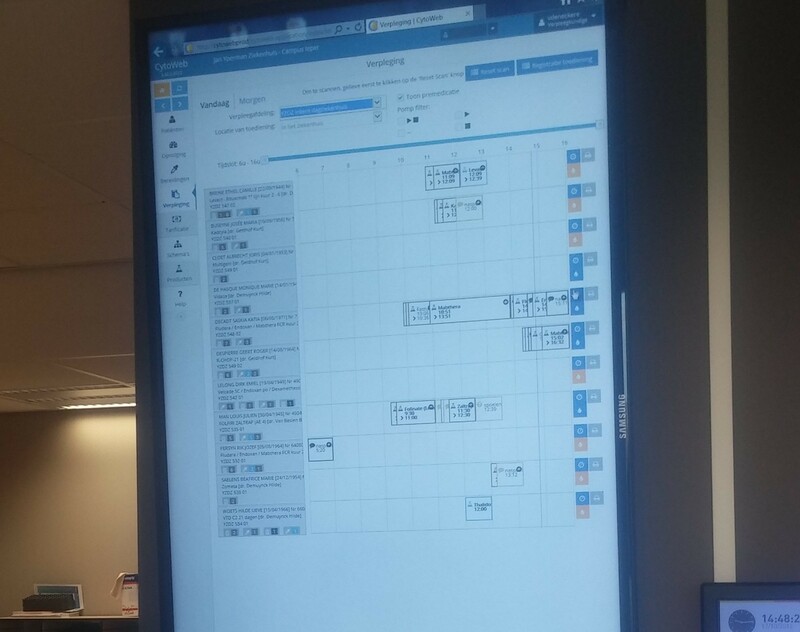 Here is a real example of the ComeoCare Nursing screen displayed on a vertical television used in Jan Yperman Hospital, located in Ypres. 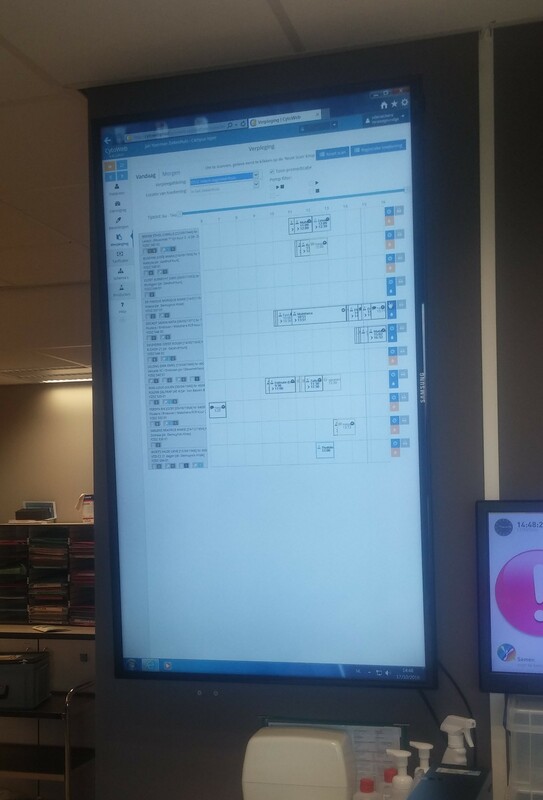 This vertical screen really helps the nursing staff to plan and track all administrations. The large number of administration per day can really make this a complicated task, and this screen helps to relieve this job. At a glance, ComeoCare gives you a complete overview of which patient needs to get a prescription at a specific moment of the day.